Goodland felt the direct and horrifying impact of Hurricane Irma, which almost paralleled what the locals have described as the devastation of Hurricane Donna. At 7:00am on September 11th, followed the winding road to Goodland as my family drove back to our home after evacuating. What I saw next horrified me, shocking me into a reality I didn’t want to believe in. Power lines that once stood tall, towering over us, were now laid to rest on the muddy soil. 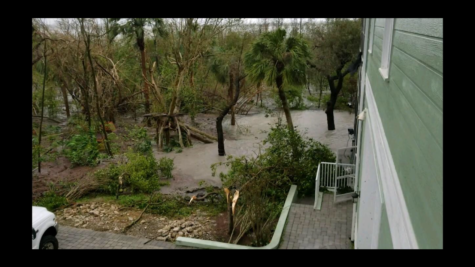 Trees laid limp on the ground, blocking the road, littering the surrounding area, acting as yard decor for the severely damaged houses of Goodland, those of which remained standing, that is. Our lives would never be the same again. Was “normal” even a possibility? As Goodlanders, we have always taken pride in our independence as a community. 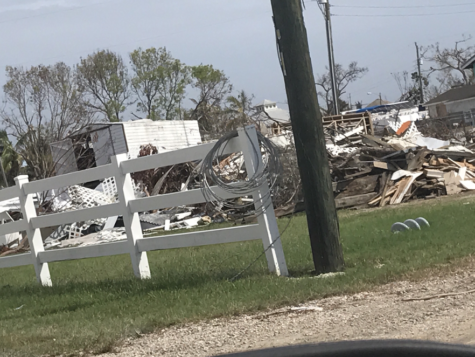 Though in a case as devastating as this, help was being offered from a large variety of outside support, and we took as much of it that we could get. To make the best use of the help being offered, a group of Goodlanders repurposed the Civic Association building as the central command post for all disaster supplies and needs. To help better organize specific needs and where volunteer work will best be utilized, leaders of the Civic Association made a bulletin board identifying members of the community and exactly what they needed the most assistance with. 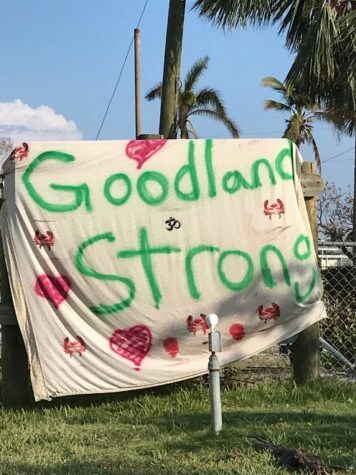 Goodlanders wanted to get each member of the community “back to normal” as soon as possible. Though we couldn’t control the unforgivable wrath of mother nature, we can control the process of recovery. Sherri Morrison is an active member of the Goodland Civic Association and has been a key component in helping organize where our efforts go in helping rebuild the community. 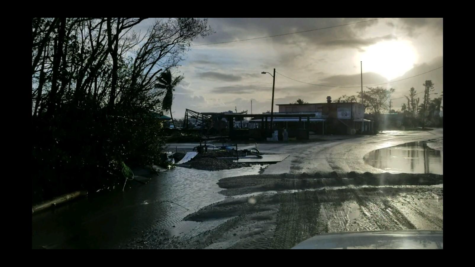 During my interview with Sherri, she outlined the schedule of volunteers who worked at the distribution center from 9:00am to 7:00pm, in groups of two to three, for 2-3 hour shifts, for weeks after the storm. Currently, the center remains open a few hours daily. “The best part of the recovery efforts has been the many volunteers of neighbors helping neighbors. We had no television or internet, so instead we had conversations and built relationships with each other”, stated Morrison. In relation to recovery, the reconstruction of the famous, “Stan’s Idle Hour” has already begun. 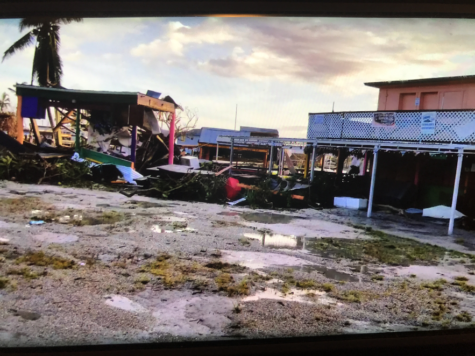 Known for country music, dancing, and the best place to party on the water, Stan’s son, Steven Gober, plans to repair the damage and reopen Stan’s for high season. Stan’s is the focal point when you first enter Goodland. As for my family, we will never be the same, but not in a bad way. Being without luxuries we have grown used to changes how much we appreciate what we do have. The day we returned home we had no water, no electricity, no internet, and no television, while mud and water filled the bottom level of our home. The water came back first and we felt so grateful for a cold shower and the ability to wash the mud off our hands, jumping with joy when the electricity returned. Though things you rank as top priorities in your everyday lives, such as internet and television, no longer seem as important once you lose the basic foundations you’ve built your life around, such as clean water and power. Lastly, but most importantly, we have a newfound appreciation for each other. I now know that after living through this, no matter what obstacles are in our way, we will find a way and make it through, not just as individuals, but as a community, as well.